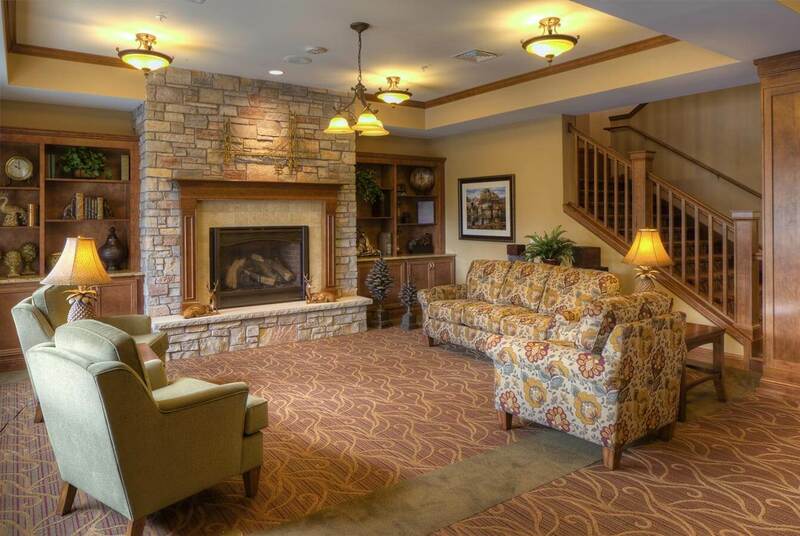 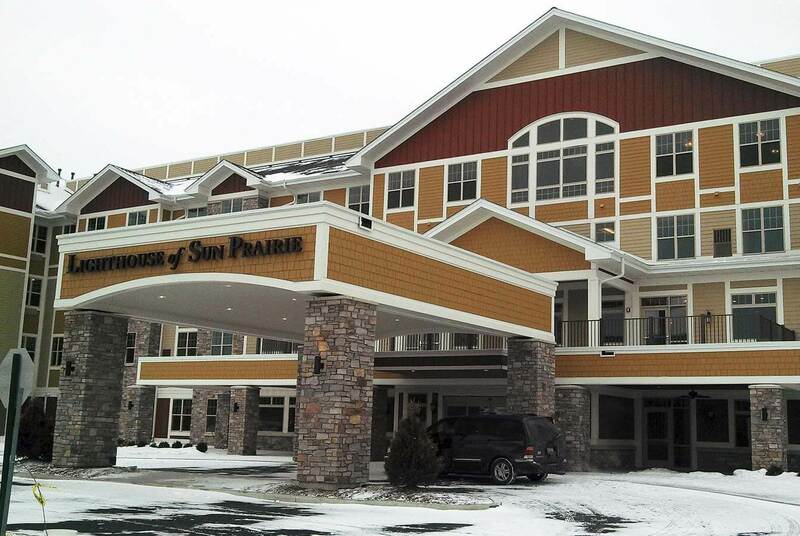 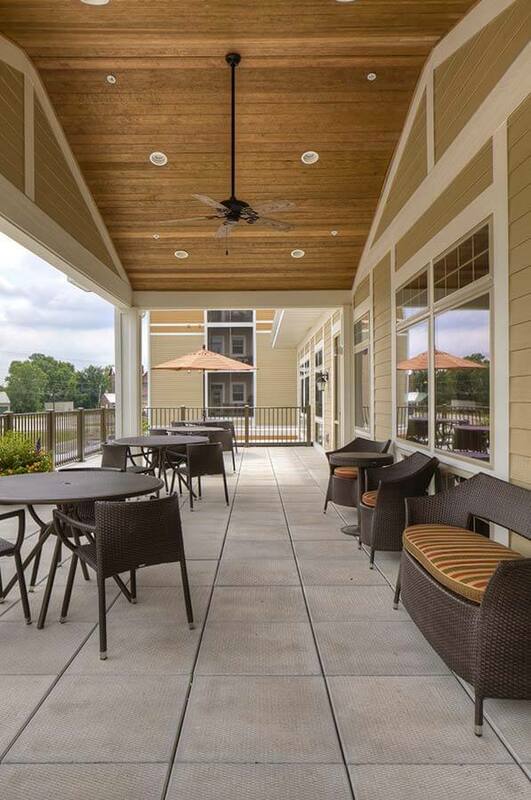 This new senior living community includes areas for Independent Living, Assisted Living and Memory Care. 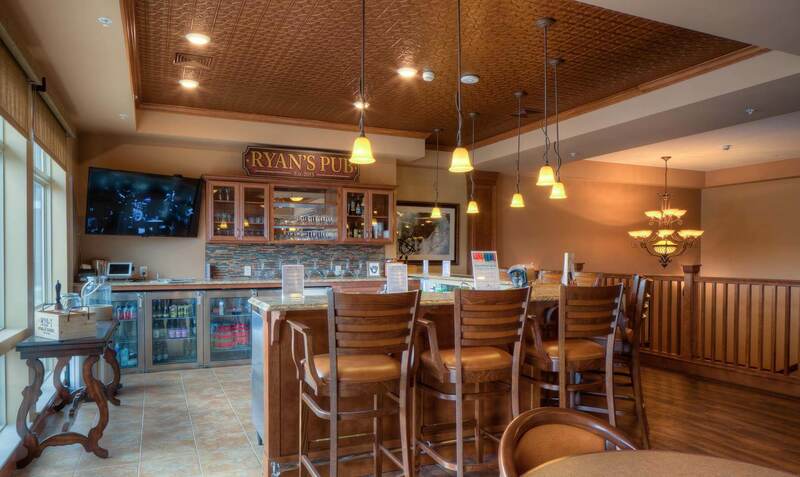 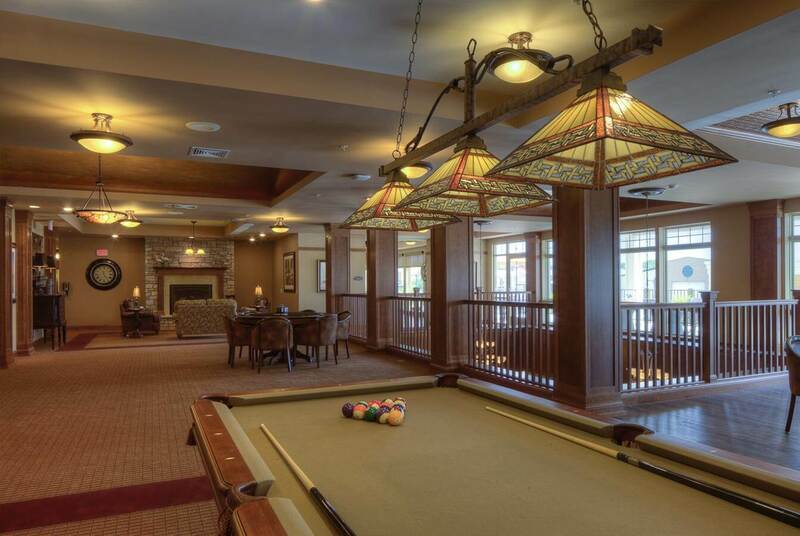 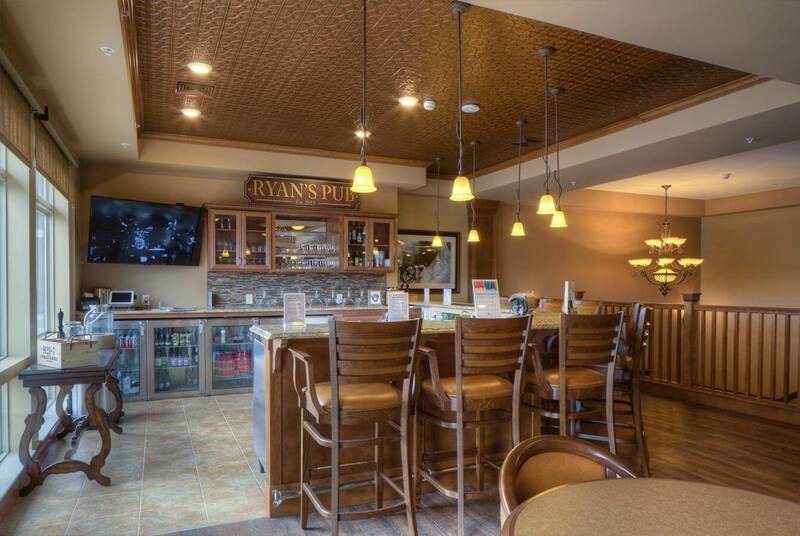 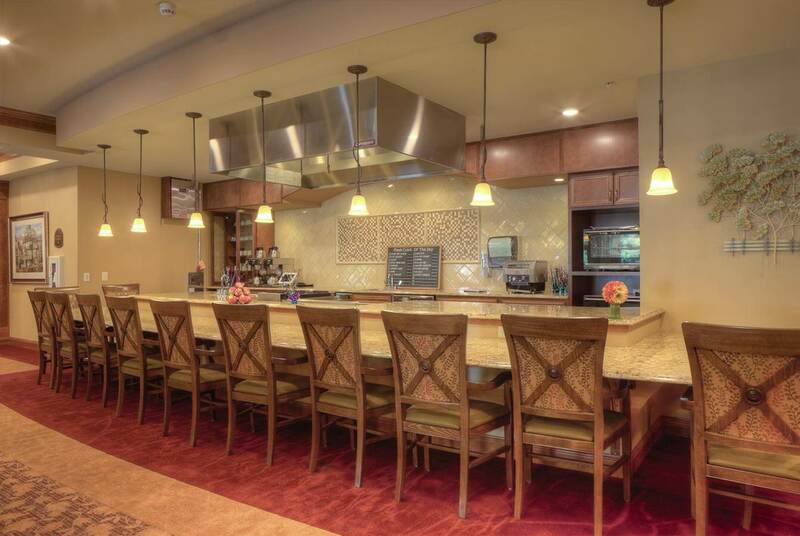 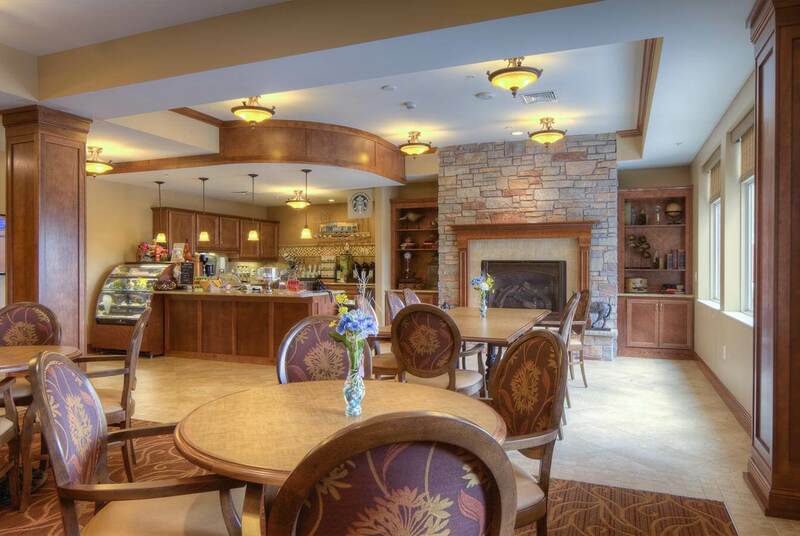 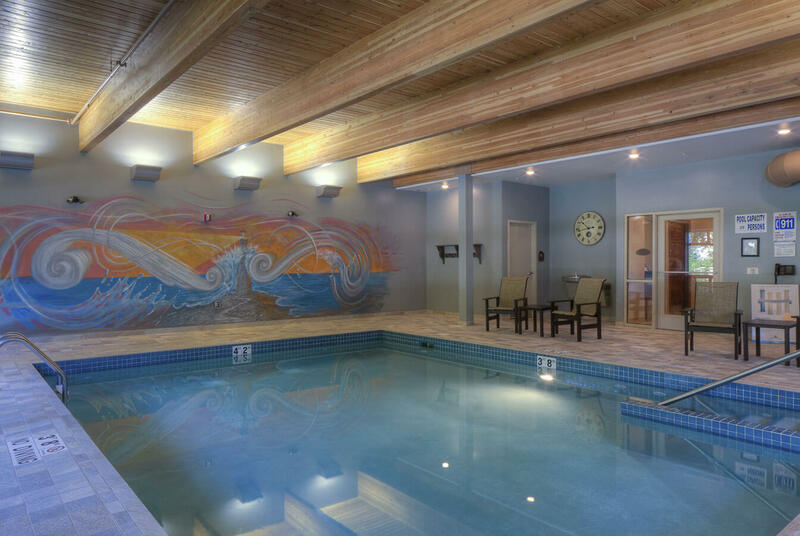 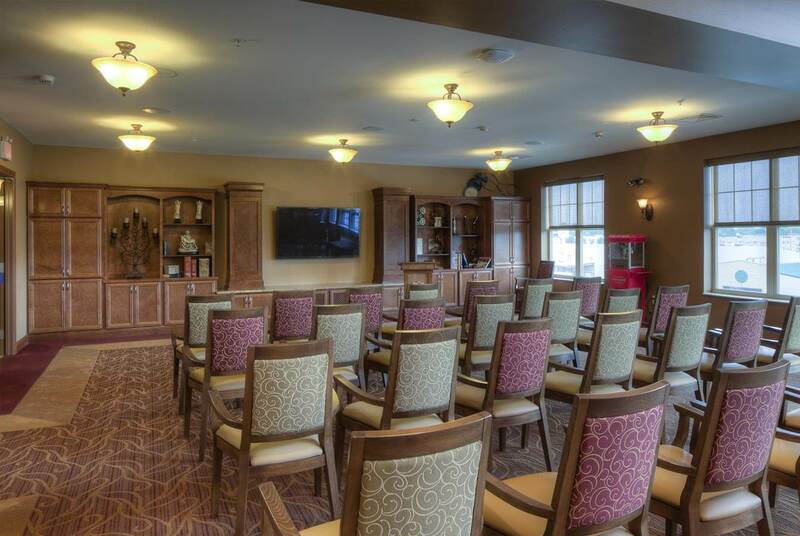 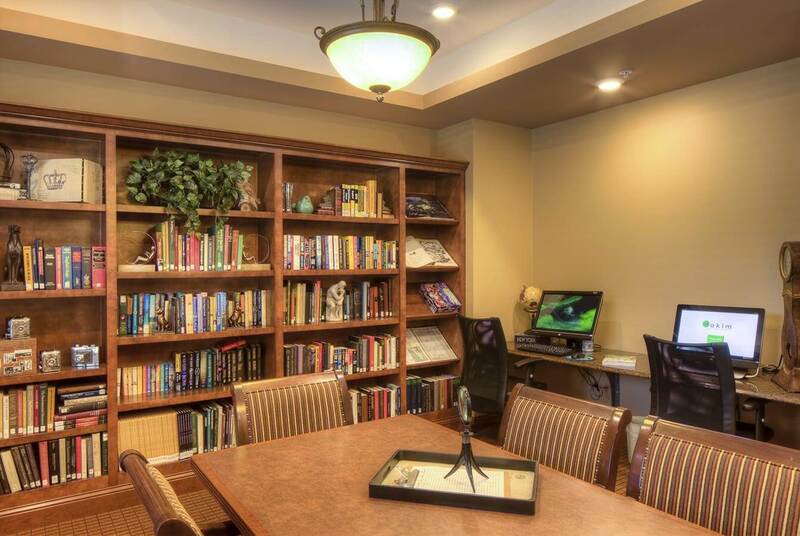 Memory Care units are designed in four neighborhoods of residents each with their own dining and activity areas. 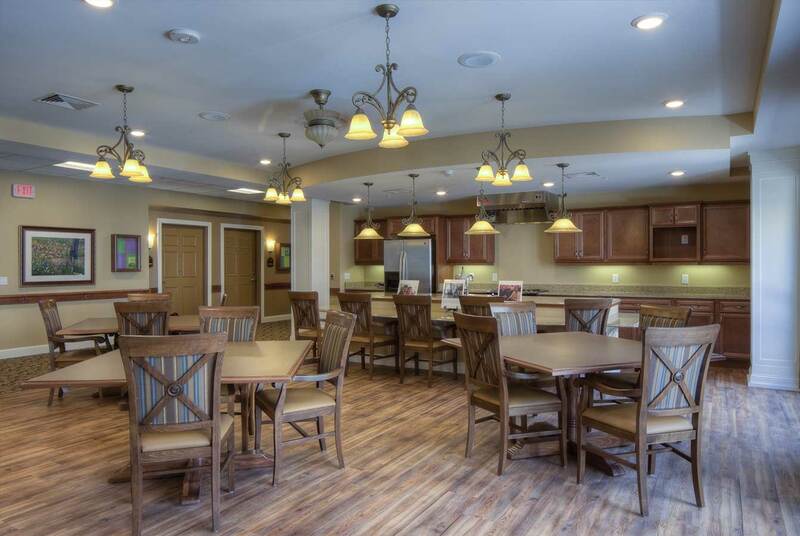 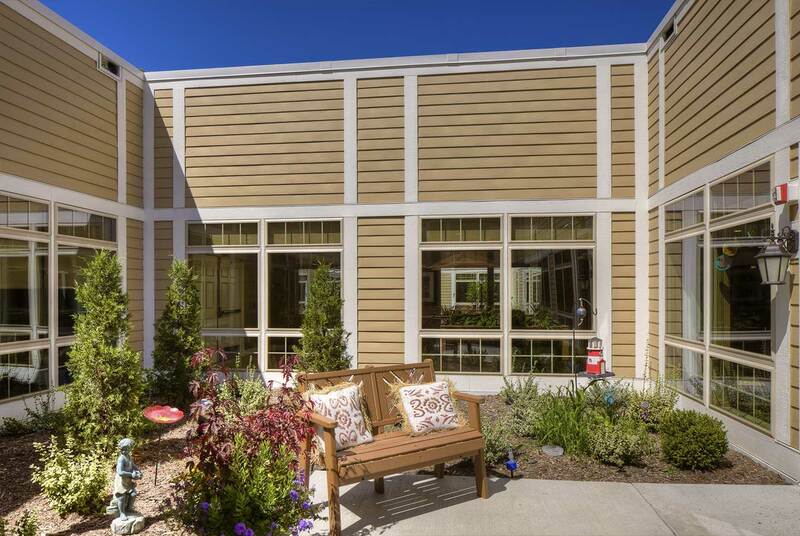 These units were designed for those suffering with dementia and Alzheimer’s to live in and feel comfortable, while minimizing the challenges of typical residential environments The second and third floors are for Independent Living (IL) and Assisted Living (AL). 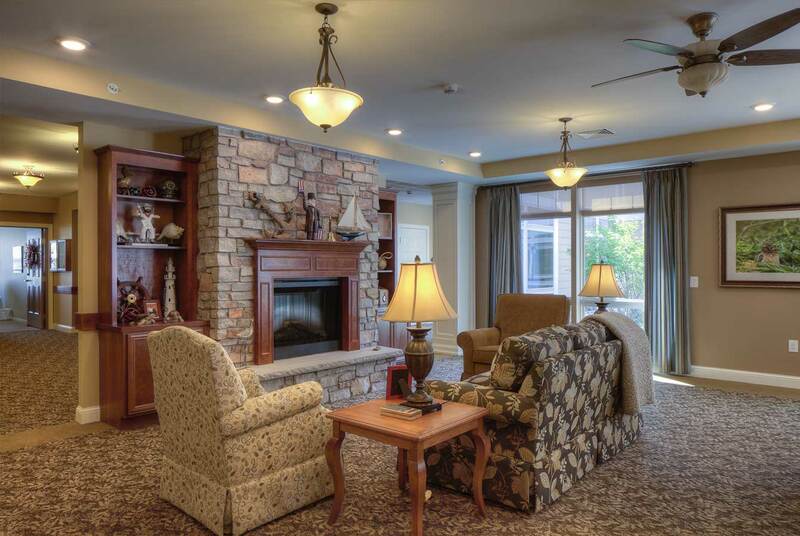 Each floor is divided by common living space in the center. 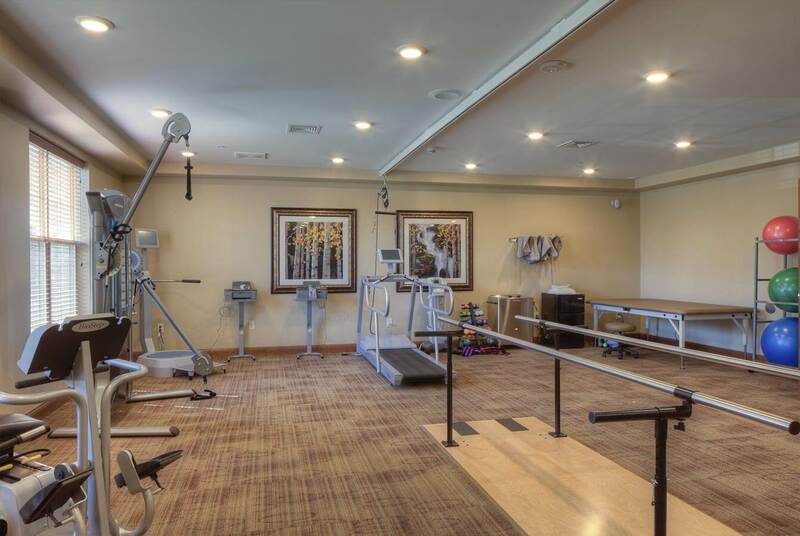 Common space on the first floor includes staff offices, resident dining for AL and IL residents as well as a large seating area, fitness center and swimming pool.